Our friend, Angie Quaale of Well Seasoned, a gourmet food store, did a cooking segment on Global Noon News today with our short ribs. 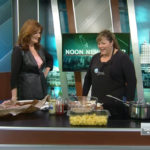 Check it out here: Noon News Hour – Slow cooking. Find the recipe under our Tips/Recipes tab. Enjoy!